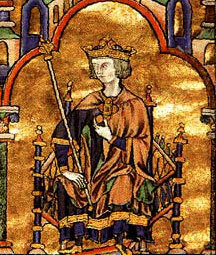 The Seventh Crusade was not started by any Pope, but by King Louis IX of France, who became known later as Saint Louis because of his great devotion to the Christian God. The year after the Mamluks captured Jerusalem from the Europeans in 1244 AD, Louis announced his Crusade (in 1245). His mother, Blanche of Castile, thought this was a dumb idea, but Louis raised money from church tithes and then sailed to Cyprus in 1248. He was 34 years old. He left Blanche at home to rule France for him. From Cyprus, Louis attacked and took the port of Damietta in Egypt, which had caused so much trouble in the Fifth Crusade. The Ayyubids were very weak now and could not stop him. Using Damietta as a base, Louis then attacked Cairo, but the Mamluks arrived and defeated him. Baybars took Louis prisoner. To get Louis back Blanche had to raise taxes in France and pay a lot of gold, and the French army had to give Damietta back. Louis and his army sailed away to the castle of Acre (AH-ker) in Syria. In Acre, Louis negotiated with Mongke, the Khan of the Mongols, to get his help against the Mamluks. By 1254, Louis (now forty years old) had run out of money. 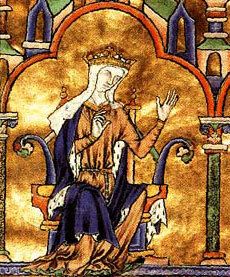 Also, Blanche of Castile died. Louis had to go home and take charge of France. So that was the end of the Seventh Crusade. But the Mamluks, and everyone in the Islamic Empire, never forgave the Crusaders for allying themselves with the terrifying Mongols. Cite this page: Carr, K.E. Seventh Crusade – Louis IX and Baybars. Quatr.us Study Guides, August 3, 2017. Web. April 23, 2019.